Inspired food, carefully selected wines, attentive service and elegant décor are combined to create an unforgettable food and wine experience. We offer exclusive use of our restaurant or function venue, together with the full attention of our team. 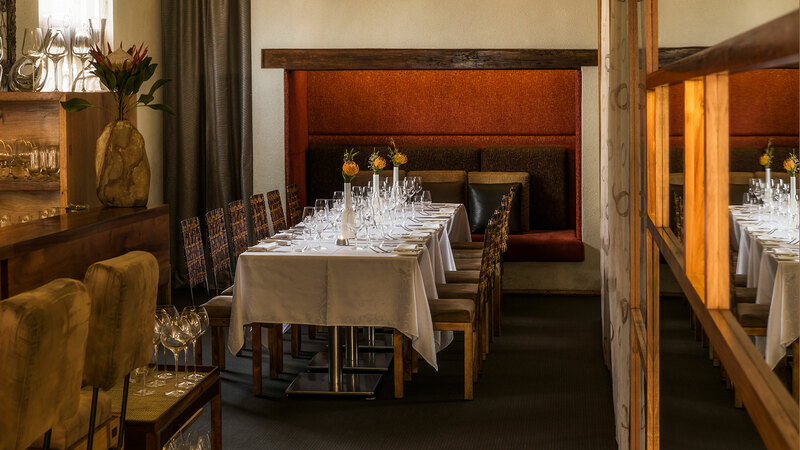 We can accommodate groups of up to 80 guests at Aubergine and 20-40 guests at Auslese for a sit-down meal. From personalised menus and wine pairings to flower arrangements, we can also assist you in planning the perfect event. Parties of 10-18 guests can choose from our Degustation Menu or a la carte menu, while larger groups can choose from a range of set menus. If you are looking for a private dining experience, you can book exclusive use of our main dining room (45-50 guests). For smaller groups, enjoy semi-private dining in our Mezzanine (12-13 guests) or Annexe (15-18 guests) dining rooms. Expect unmatched professional service, an elegant atmosphere and the finest cuisine as we make your special occasion a memorable one. Weather-permitting, our terrace is an idyllic setting for aperitifs to start your evening off on the right note. Auslese is our dedicated function venue conveniently situated in Hope Street. 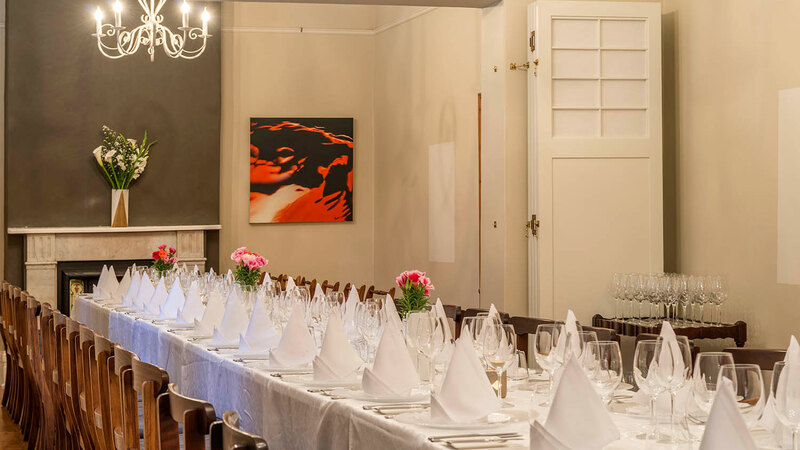 This beautifully restored former home embodies old world charm with stylish, understated décor and is ideal for exclusive, private dining, corporate functions and product or wine launches. We can accommodate 20-40 guests for a sit-down dinner and up to 80 for a cocktail-type event. Please see our website for more details. Want to discuss your event with us? Get in touch with Catherine on 021 465 0000 or catherine@aubergine.co.za. 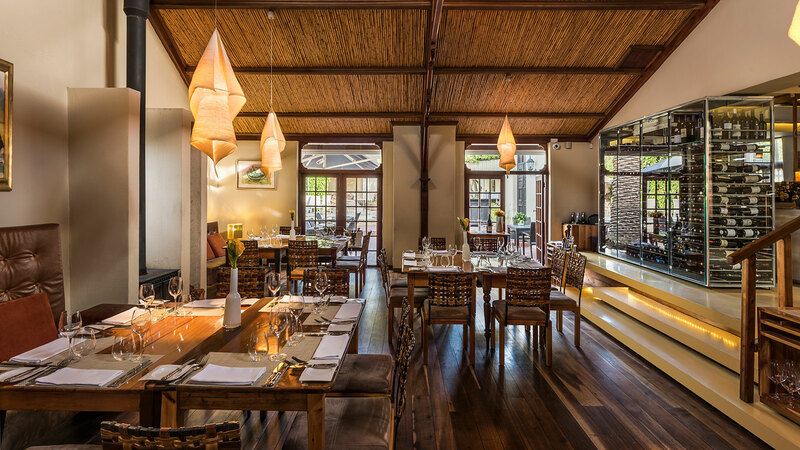 Want to know more about events taking place at Aubergine restaurant and Auslese in Cape Town? Read more about what’s in store in the coming weeks and months below or on our Facebook page. Click here to sign up to our events newsletter. Harald will create a delicious, light meal of canapes and mini dishes to enjoy on arrival and during intervals. A cash bar including wines, beers and soft drinks will be available. Mae Sithole pens music that knows no borders. From global stages to local music clubs, her songs are inspired by her travels and the treasures she has collected across the globe. Her repetoire for this intimate show at Auslese, joins her captive voice and presence, with skilful guitarist, Dylan Fine. Together, they revive memories of Judy Garland with the inspirational, “Somewhere Over the Rainbow”, adding their Afro fusion of jazz and soul to this classic. Amongst Mae’s originals, the duo will share familiar favourites, Sunflower, which she plays on the mbira, and House of Stone, a tribute to her home country, Zimbabwe. People have described Mae’s musical performances as full of hope, positive energy, and the power of love. It promises to be a memorable performance in a special setting. Contact Catherine on info@auslese.co.za for reservations or enquiries.